(Natural News) Late Monday The New York Times published what it no doubt thought was a “bombshell” story claiming that in 1985, a young Brett Kavanaugh once threw a beer in someone’s face which led to a fight. Why this is considered a “story” is known only to the Trump-hating dweebs at The New York Times, but suffice to say it’s a hit piece, nothing more. How do we know? Because the ‘incident,’ whatever it was, resulted in a police report, and due to that fact alone, the FBI – which has been vetting Kavanaugh off and on for nearly two decades – has known about it all along. If it were serious, no way Kavanaugh makes it inside the George W. Bush White House or on the federal bench. Yet here’s the Times, again, pimping some incident to its rabid Left-wing readership intended to paint a certain picture (wrong though it is) of Kavanaugh as a drunken abuser who doesn’t have the temperament to be a Supreme Court justice. Facts have long since failed to matter when it comes to this period in our history, this president, and anyone associated with him. As The Gateway Pundit notes, Ford – who gave incomplete testimony to the Senate Judiciary Committee last week regarding her accusations – claimed she saw a therapist in 2012 because of the alleged incident, but she’s yet to hand them over to Senate investigators looking into her charges. 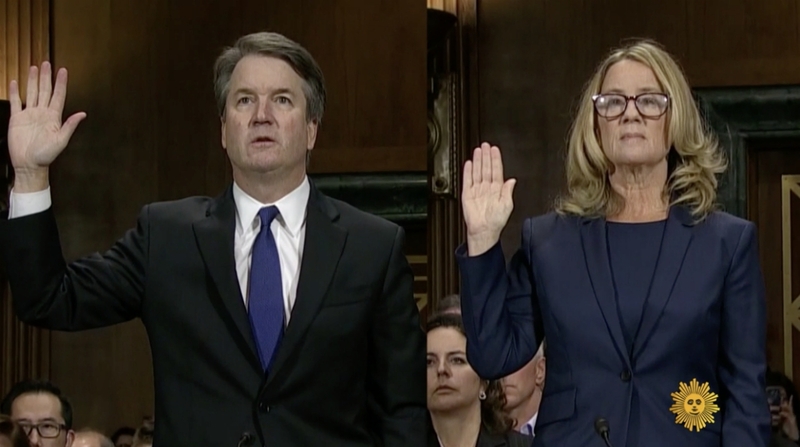 The notes allegedly state that Ford has long suppressed her memories of that night so long ago when Kavanaugh made his unwanted sexual advances (supposedly). Read more about this hoax against Brett Kavanaugh at Hoax.news.